Sustainability has become a movement with tremendous influence in the way organizations and policy makers design their strategies (Griskevicius et al. 2010). Given the detrimental effects of pollution and overuse of nonrenewable resources, it is essential that scholars understand both the nature of and how they can impact pro-environmental behavior (Bamberg and Möser 2007). Despite the wide availability of pro-environmental options, barriers to adopting pro-environmental behaviors are still common (Dietz et al. 2003), and past strategies undertaken by government and nonprofit organizations to encourage such behavior have achieved only limited success. Indeed, individuals are sometimes resistant to change, and few take action beyond the specific encouraged behavior (Whitmarsh 2009). 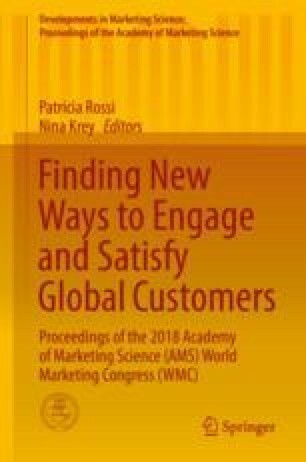 Thus, marketers and policy makers can play an important role by creating messages that are effective both in educating and persuading individuals to take on a more pro-environmental mode of behavior. This research aims to better understand what motivates consumers to express sustainable intentions and what factors interfere in their decisions. Building on the literature, this research evaluates under which conditions certain factors (perceived support H1a, green attitude H1b, self-identity H1c, and perceived control H1d) may have a more significant effect on green behavior. In the literature, perceived behavioral control can be divided into two dimensions: self-efficacy and controllability. In addition, this project explores how the impact of these four factors will vary depending on the perceived degree of difficulty of the behavior (H2). Indeed, the more difficult is the behavior, the more we expect factors other than attitude to influence individuals’ behaviors. The authors conducted a study to understand the different motives for pro-environmental behaviors. The questionnaire was administered during an ATP tennis tournament in France. The results demonstrate that perceived control, perceived support, and self-identity can be used to convince and also expand the different sustainable options for consumers. Indeed, those variables can help consumers realize that they have more options that are sustainable. Different factors influence individuals’ pro-environmental behaviors, and depending on the perceived difficulty of the behavior, different strategies can be used to trigger more sustainable actions. The research findings can benefit the community on two levels: commercial organizations in the design of message-based pro-environmental social responsibility initiatives and governments and nonprofit pro-environmental organizations in the improvement of their education and persuasion strategies.